CHIN MUSIC opens in St. Petersburg, Florida. It is 1926 and the New York Yankees have begun spring training. Their famous star player, Babe Ruth, nonchalantly walks into a barbershop for a haircut and a shave, and Zel, a female barber (rare for those times), becomes Ruth’s favorite. As the season goes on, their friendship deepens. Flash forward to Jupiter, Florida. It is now 2013 and Ryan Buck, a high school senior and talented athlete, is weighed down with guilt and the nightmare that has haunted him for the past two years. After the horrific car accident that maimed his brother and killed his father, his mother, Susan, is forced to consider selling the valuable Babe Ruth artifacts that have been in her family for five generations. But a chance meeting with a retired baseball memorabilia collector leads to a close friendship that provides the support Susan needs to investigate a secret that has plagued her family for as long as she can remember. The Buck family’s life is forever changed when a car accident kills the father, causes one brother to lose his leg, and leaves the other brother physically unharmed but emotionally damaged. Susan, the mom, is in need of money, so she decides to sell the old Babe Ruth baseball card that’s been in the family for generations. Luckily, she encounters Sam Frank, an old man who knows what he’s talking about when it comes to baseball. Sam and Susan begin to unwind the story of just how Babe Ruth fits into the family’s past, and the truth is definitely groundbreaking. But will it be enough to start the family on the road to healing? I used to be a huge fan of baseball when I was younger, but that tapered off and I’m not sure why. This novel brought me back into the world of the MLB again, and I appreciated that…I was just wishing for more connection with the main characters. The novel, at first, switches back and forth between the tales of Zel and Babe in 1926, and present day, with the Buck family. I actually enjoyed the story of Zel and Babe in the past more than the present day one of the Buck family. Something about Zel made her come alive on the pages, and I could see how Babe Ruth could have struck up a friendship with such a sassy young woman. She made it all on her own when the odds were against her. But in this century, we have Susan, Ryan, and Michael Buck. Susan is working from home, but her money is starting to run low. Ryan is the older brother who was a sports star before the accident, but lately can’t get his head in the game. Michael is the younger brother who lost a leg but kept his sense of optimism and humor. I thought the family as a whole was just okay; I couldn’t really connect with any of them on a one-on-one basis. We see that all three have some issues, but they are only glimpsed, never explored in a way a would have enjoyed. I had a couple of problems with the sense of realism as well. Susan is a forty-something mom who works from home has an internet-based career…but she doesn’t do any research on the heirloom item she is about to sell before she goes out to sell it? She almost took an offer more than ten times too low, and that seems a little ridiculous to me. She’s a naive woman, to be sure, especially for a mother. So the baseball part of the novel was nice, but I really just wanted something MORE on the characterization. This is a fanciful tale of what might have been, and I think die hard baseball fans might enjoy it more than I did. 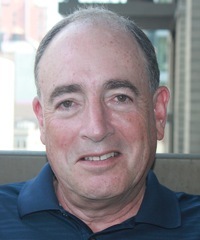 Lee Edelstein was born and raised in Brooklyn, NY where his love of baseball was kindled by his Dad, an ardent Dodger fan. After a successful business career, Lee resolved to pursue a lifelong passion for writing. 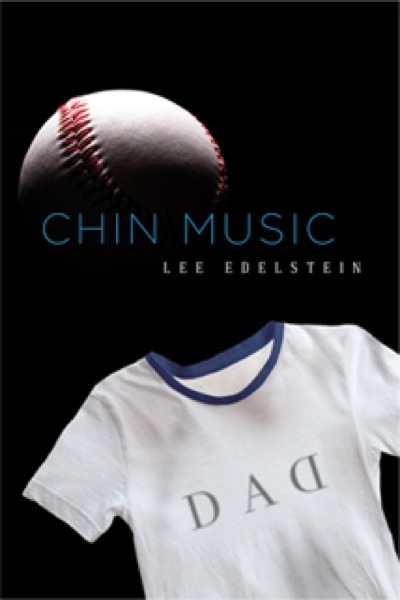 CHIN MUSIC is his first novel. Posted on March 25, 2013, in book tour, books, reading, review. Bookmark the permalink. 2 Comments.